Contest begins December 2nd, 2012 at 5:00pm EST and ends December 9th, 2012 at 11:59pm EST (the “Entry Period”). All entries must be received during the Entry Period. NO PURCHASE OR PAYMENT OF ANY KIND IS NECESSARY TO ENTER OR WIN THIS CONTEST. BY ENTERING THIS CONTEST, ENTRANTS ACCEPT AND AGREE TO BE BOUND BY THESE OFFICIAL RULES. This entry was posted in Uncategorized and tagged competition, forward by elyse walker, Giveaway, lyst by Carolina Engman. Bookmark the permalink. Iscription is done! Now I hope to win!!! cool give-away! thanks for sharing! your blog remaines one of my favourites carolina, go on like that!! 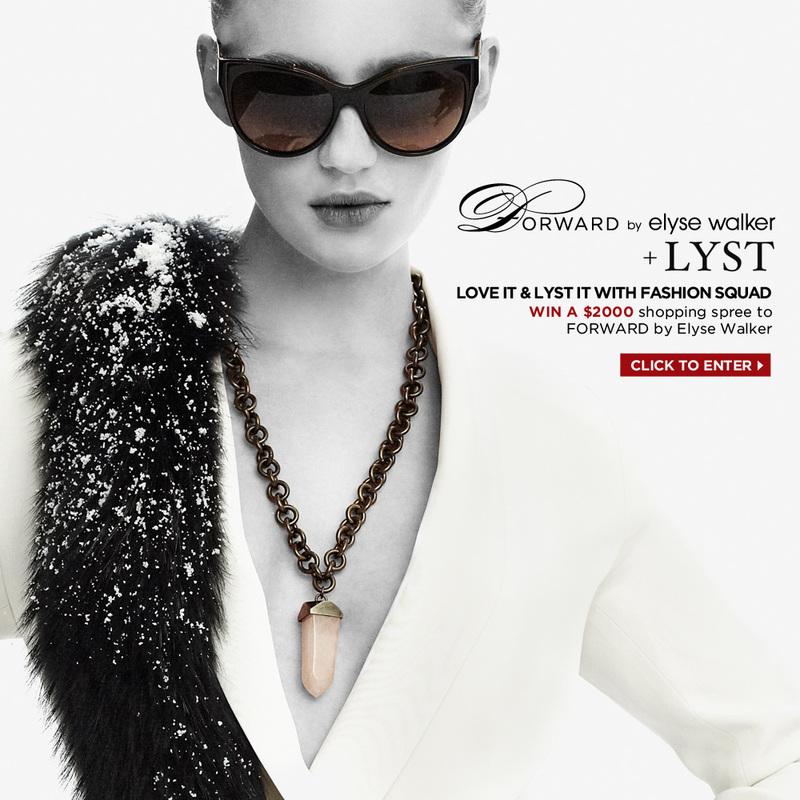 GR8 giveaway, lovely stone pendant. http://www.losetessential.com personal shopping & wardrobe organization agency. Great Giveaway ! Thank you ! Thank you for shating. Hope I win!! GREAT !!!! Thank You !!! Wow, really hope to win! AMAZING GIVEAWAY! Thank you! Entering right now!